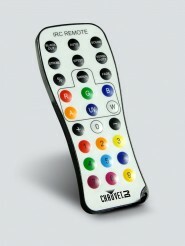 IRC-6 IRC-6 is an easy-to-use infrared remote control (IRC) for IRC compatible lighting fixtures. It provides instant access to p..
D-Fi Hub is a compact, easy-to-use DMX unit that functions as either a transmitter or receiver. 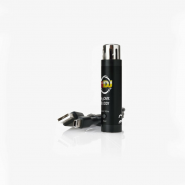 For more stable communication betw..
CHAUVET DJ has developed a series of fixtures that include a standard USB connection. You can now wirelessly connect to all of the.. Product Information Allows up to eight switch packs to be operated from one remote control unit allowing up to 64 channels of c.. The SL-FC4 has an easy-to-use three button operation with LED display readout for 4 or 6 colour LED fixtures. Powered directly fro..
4 Fixture, 3-5 channel DMX Light Controller for LED lights - 6 channel modes per fixture (RGB, RGBdim, RGBW, RGBWdim, dimRGB, dimR..
myDMX 2.0 is a new stand alone, software/hardware package from American DJ. 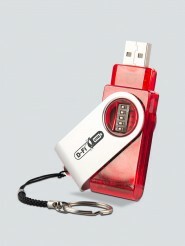 Available for Windows and Mac OS X operating systems, .. 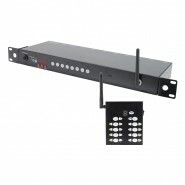 Product Information Functions: 4 channel DMX 512 dimmer pack with built-in programs and Master/slave link 16 pro..
myDMX Buddy is a scaled down, entry level version of myDMX 2.0. Out of the package, myDMX software will run in limited mode: 3D vi.. 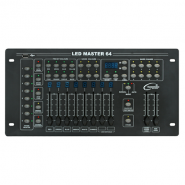 The DMX Operator II is a comprehensive lighting controller for up to 12 fixtures with a maximum of 16 DMX channels each. 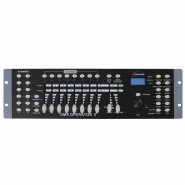 240 ..
DM-X16 192 CHANNEL DMX CONTROLLER This 192 channel DMX controller has 16 fader channels which make it easy to see exactly what ..
A 5 gang extension lead in which all sockets can be controlled individually via the remote control. 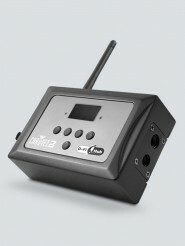 A great solution for controlli..
A small yet versatile DMX PAR can controller for 3 and 4-colour fixtures. 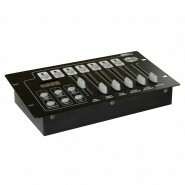 Four channel faders can be configured to 6 different arr.. 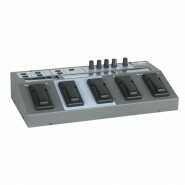 The LED-Foot 4 Controller is another innovative LED controller designed and developed by showtec. It offers you total control to 4.. This revolutionary LED DMX controller from Transcension features break through channel assignment technology. The .. 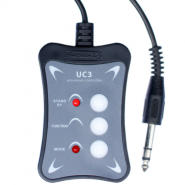 Easy-to-use 3-switch controller for various American DJ Fixtures The UC3 provides easy-to-use control of various American DJ li.. 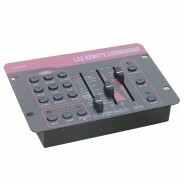 The Remote Commander is the control centre for Visio products which have a 240v internal power sup.. 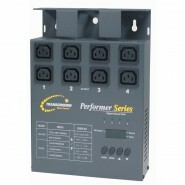 Product Information This 6-channel controller from LEDJ is designed for the LEDJ Stratos Ser.. 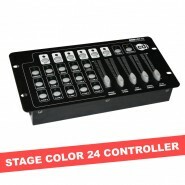 Product Information This 6 channel controller from LEDJ is designed for the LEDJ Stage Color 24 T.. 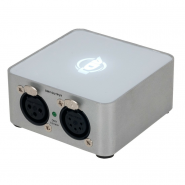 This 4 way DMX Booster/distributor has one input, loop through and two electrically opto isolated outputs. Both DMX inpu..